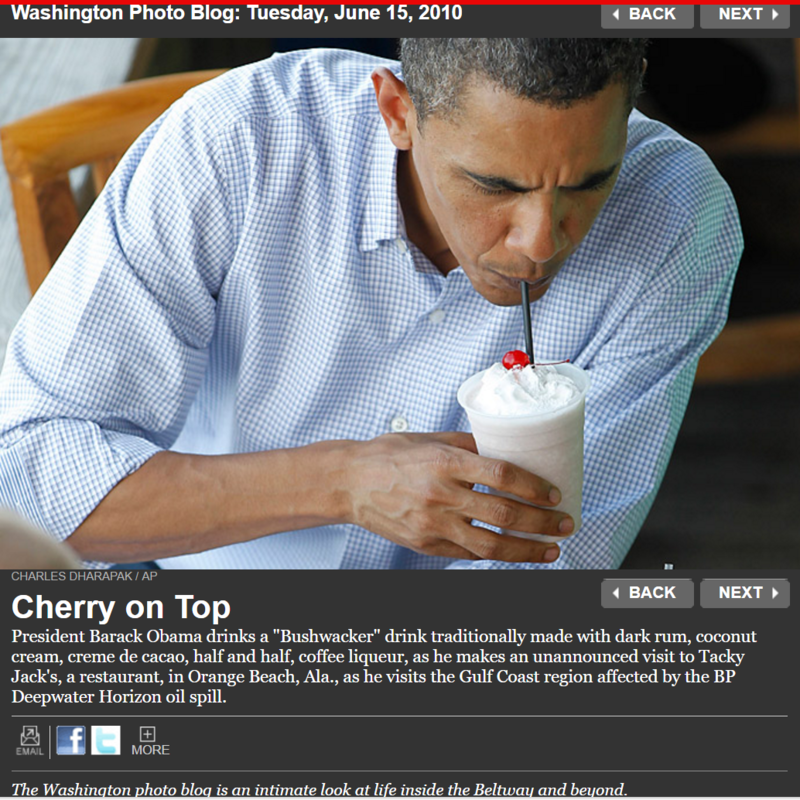 I had my very first Pensacola bushwhacker in late spring of 2013, when I traveled from DC to Pensacola to lay my grandmother to rest… That’s probably not the way you were expecting the story to start, eh?? 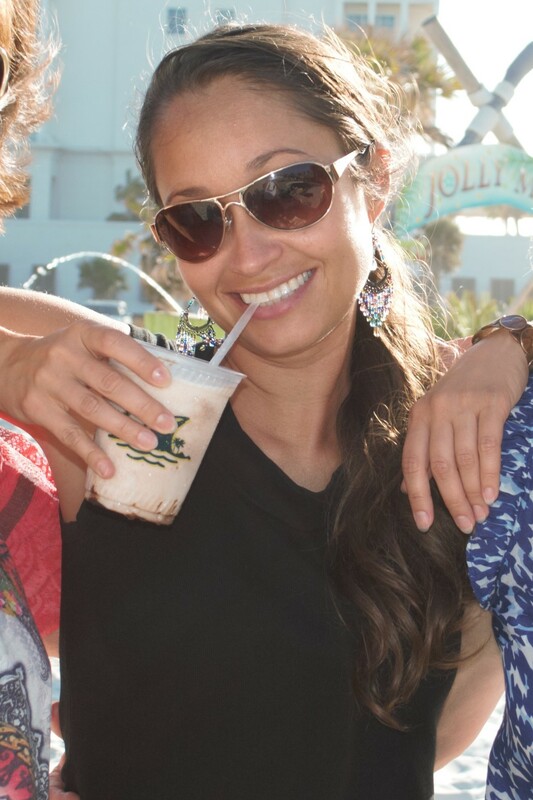 Well, I can’t leave that part out, ‘cause with my very first bushwhacker, I toasted her! 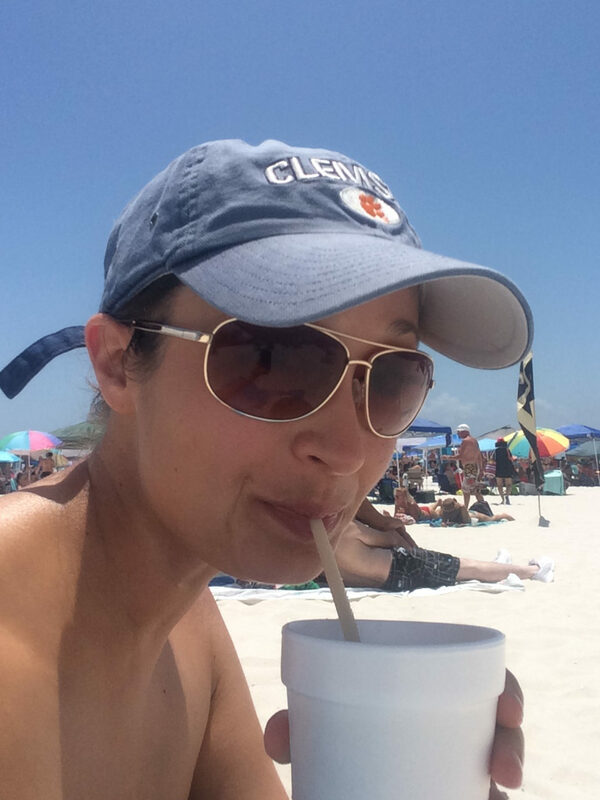 OK, onto happier things… as I sat on the white sand of Pensacola Beach after her memorial, reminiscing about my time spent in Pensacola as a kid, my first bushwacker was in hand… and it kinda made me want to slap my gramma, as we say in the south! I mean, how did I never know these existed?! I’m not a big fan of ice cream or milkshakes (I dunno what’s wrong with me, so don’t ask), but somehow, this ice-creamy, milkshakey concoction hit the spot on this warm spring day. And I made it my mission to drink one everywhere I went before leaving town (#lifegoals, you see). So, a toast to Betty and off I went! 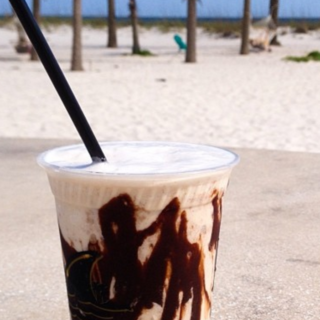 The story behind the Pensacola bushwhacker is that it was created in the mid-70s at The Sandshaker, a bar/lounge on Pensacola Beach. 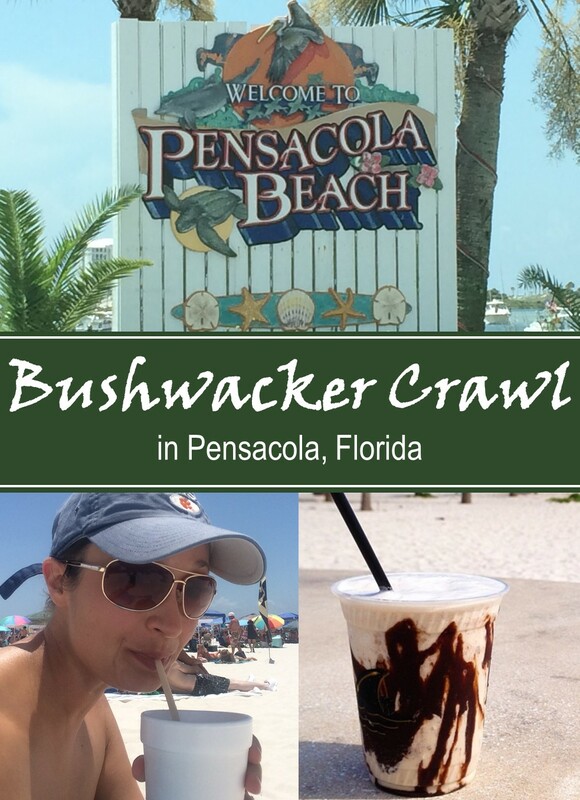 The bushwhacker is essentially a spiked chocolate milkshake – though I’m sure connoisseurs of Pensacola’s signature drink would balk at such a simple, almost aloof, description! No disrespect; just laying it out for those unfamiliar. In the 40 or so years since its introduction, locals swear it has become world(ish) famous. 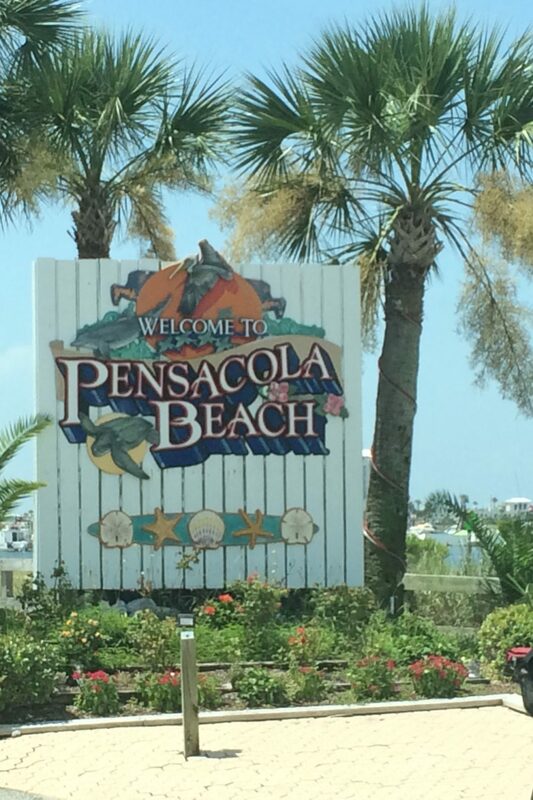 Visitors from all over do make a point to try it when they’re in Pensacola, so I suppose that’s a fair statement! Land Shark Landing This is where my reminiscing on the beach took place. The drink in hand had a pretty chocolate drizzle design around the inside of the clear plastic cup. It was pretty messy, since it had been filled to the top and spilled over…but hey, it’s a spiked chocolate milkshake, so who’s complaining? And the alcohol wasn’t too in-your-face. It was a good balance of chocolatey, creamy and kalua-ey (yes, I make up words). 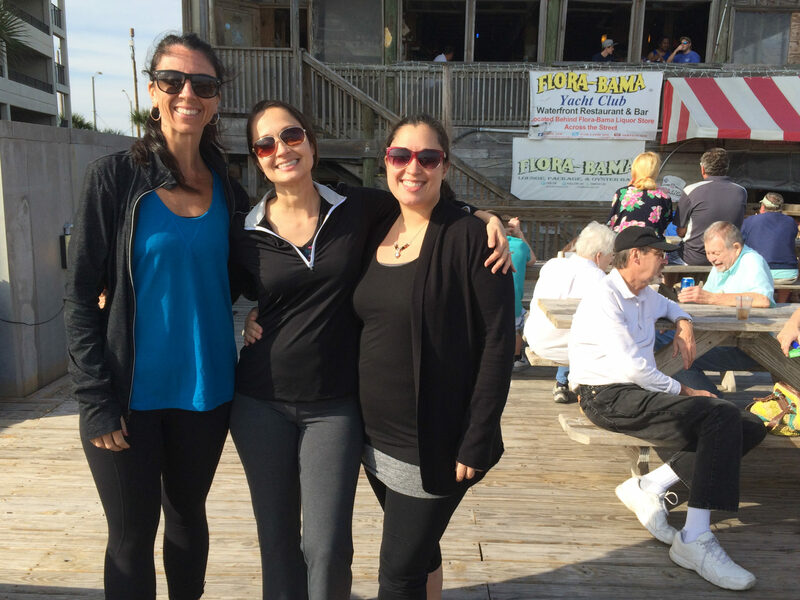 Topping it off was the perfect setting…right on Pensacola Beach with an outdoor seating area in the sand, an outdoor bar area with a fire pit, hammocks, tiki umbrellas, picnic tables, even a volleyball court. Hub Stacey’s These guys also chocolate-up their bushwhackers, but they’re served in Styrofoam, so sadly you can’t see those pretty chocolate swirls inside the cup. Mine was a little icy, more of a Slushee consistency than a milkshake consistency, but it had a great chocolate flavor. Add to that a 151 floater on top, and this was a solid bushwhacker, y’all. The Flora-Bama As the name suggests, this bar rests right on the Florida-Alabama line. They serve so many bushwhackers here, that they’ve resorted to pre-mixing and dispensing them from a daiquiri machine (think 7-Eleven Slurpee machine). I was a little bummed at first – I kinda considered it cheating. But I changed my mind with one taste. It was well mixed (obvi), with a great consistency and super creamy. I wanted to try this one with a 151 floater as well. Sadly, when I asked for it, I was told they didn’t do that anymore (didn’t get the scoop as to why). Yah, at the Flora-Bama you really need to overlook all the dust that’s settled on all the kitsch (particularly the hundreds of old dirty bras hanging everywhere). It smells of stale beer before you even walk in, and your feet will probably stick to the floor. But this place is frikkin legendary, and I love it. It’s 52 years old (opened in 1964) and, in fact, my own personal history with it goes back 33 years. An early memory of mine is sitting on a FloraBama barstool as a five-year-old, kicking my legs because I couldn’t reach the footrest, as I watched my parents and some of their Navy friends play pool. 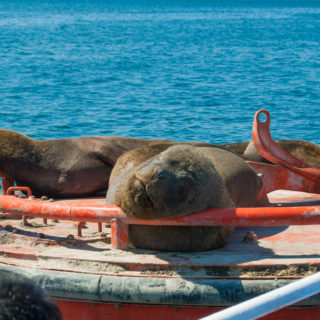 And, like the others, it’s right on the water. Perdido Beach, just as white and sandy as Pensacola Beach. And there’s plenty of outdoor seating, away from the grunge. 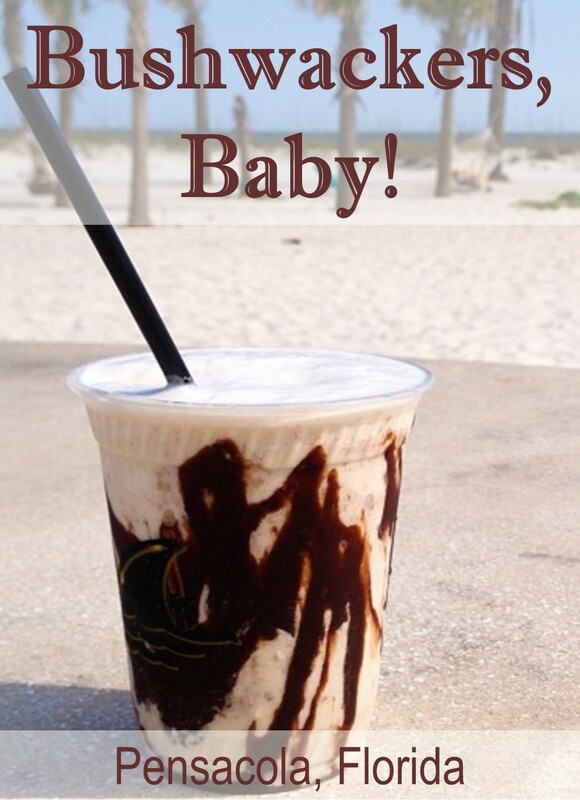 The Sandshaker for the original – they’re open all year round, 10am-3am daily, at 731 Pensacola Beach Blvd. 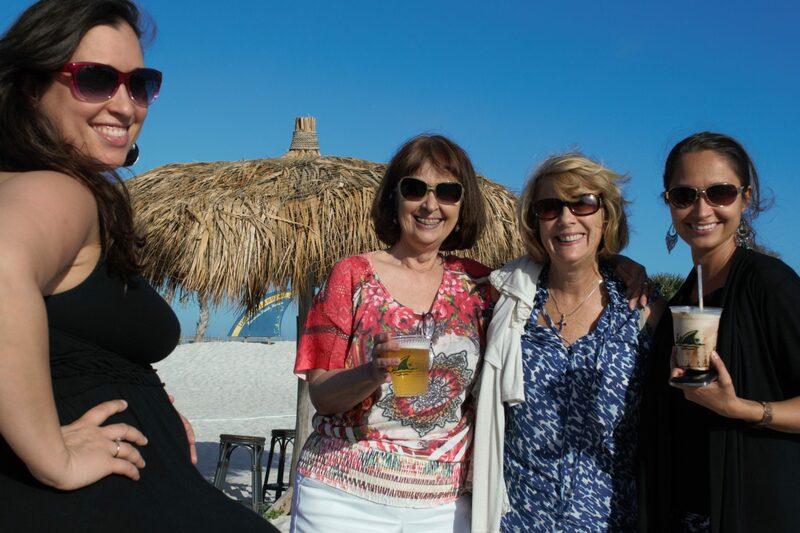 Recently voted Top 10 Florida Beach bar 3 years in a row, they’re always hosting bands, karaoke, trivia, and more. 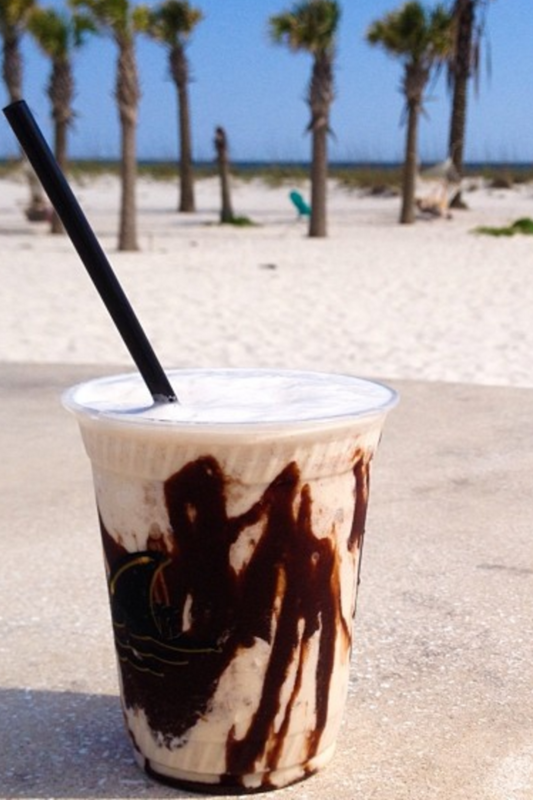 Land Shark Landing for the prettiest Bushwacker in the prettiest setting – sadly, they’re only open seasonally, March-November (weather permitting) with varied hours, at 165 Fort Pickens Road. 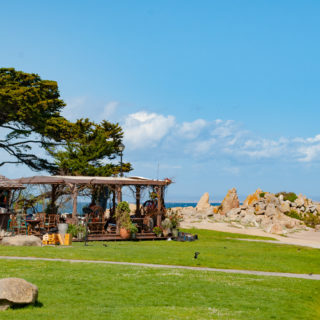 They also host live music, parties, etc, but check their calendar for closures before you go to avoid any disappointment! 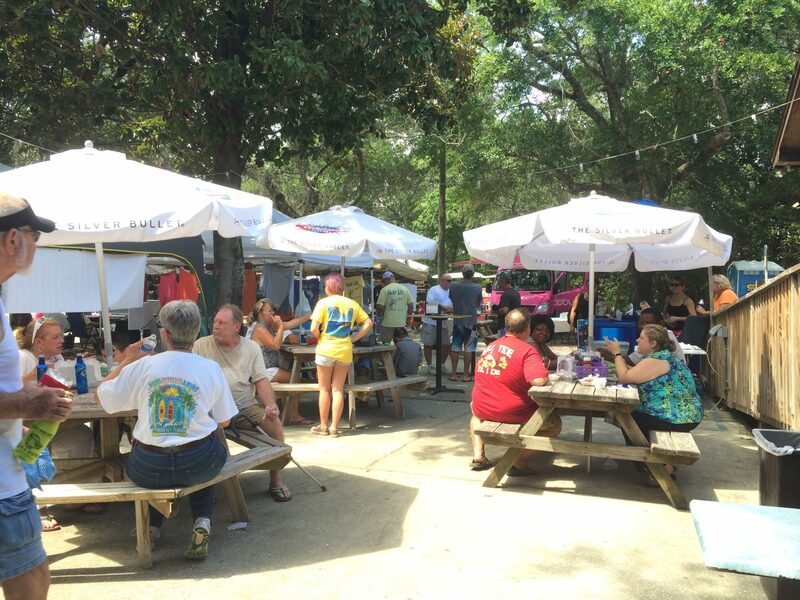 Hub Stacey’s – luckily, they have two locations… at The Point on Perdido Bay, 5851 Galvez Rd, and in downtown Pensacola at 312 E. Government St. They’re open 11am-10pm Sunday-Thursday and 11am-midnight Friday and Saturday. Both locations host bands regularly and are the sites of several festivals. 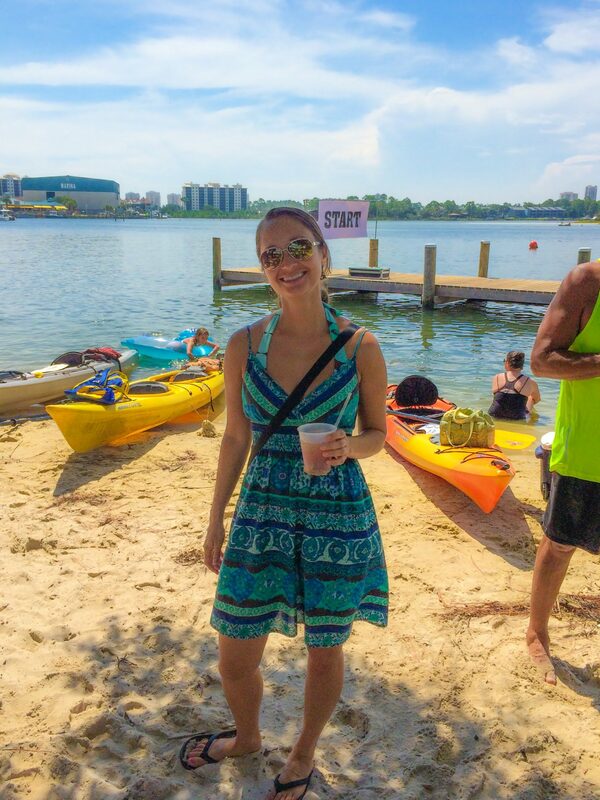 I attended the Kayak, BBQ and Blues event at The Point, and had a great time. 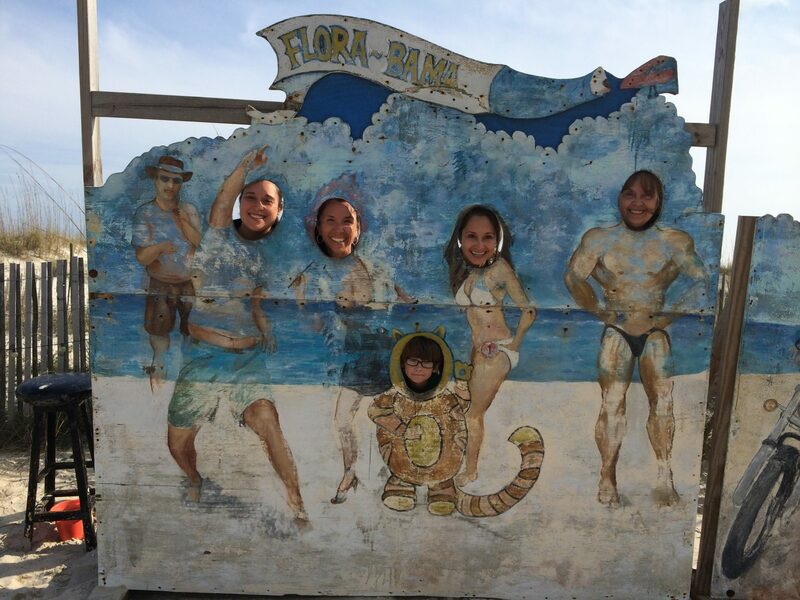 The Flora-Bama – they’re open year round, 11am-3am daily, at 17401 Perdido Key Drive, Perdido Key, FL 32507. There’s a ton going on here, too… Concerts, charity events, fun runs, and let’s not forget the famous annual Mullet Toss (you read that right). Enjoy!